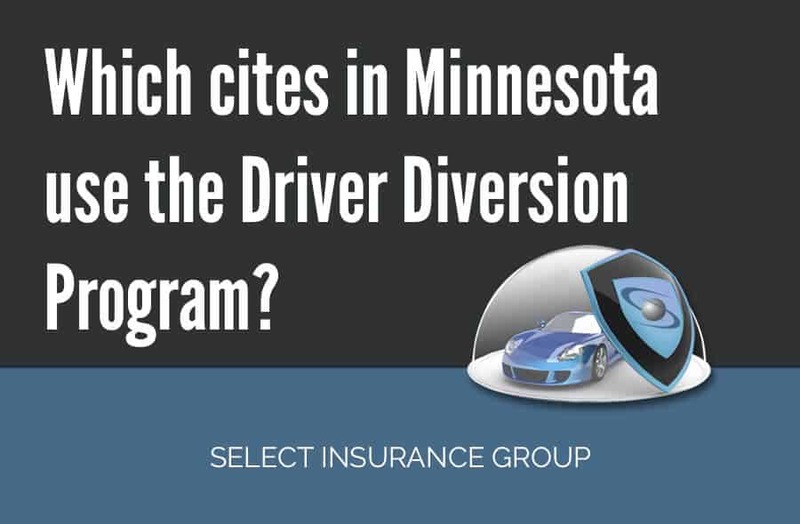 Which cites in Minnesota use the Driver Diversion Program? The idea behind the DDP (Driver Diversion Program) was developed by prosecutors from the cities of St. Paul, Duluth, West St. Paul, South St. Paul and Inver Grove Heights, Minnesota. The prosecutors from these cities recognized that unlicensed drivers, and the traffic crimes which they commit, make up a significant portion of their caseloads and consume considerable judicial resources. They also realized that problems caused by chronic driving offenders were not being adequately addressed by the criminal justice system because all agencies were being asked “to do more with less”. Because they believed that there had to be a better way to resolve these cases, they worked with several legislators to create a pilot diversion program to address those individuals who continue to drive with a revoked or a suspended driver’s license. As such, the idea behind the DDP was conceived. Early on, these prosecutors realized that they could not undertake such a project without the help of the State and/or an outside agency to administer the program. The group met with representatives from the DPS – Driver and Vehicle Services Division and gained their support for the project. Simultaneously, the group worked with Financial Crimes Services, LLC (FCS) to help develop and to administer the program. In August 2009, after numerous meetings and planning sessions, the DDP officially launched. Working through FCS, the DDP seeks to assist individuals who have been charged with driving after suspension/revocation (DAS or DAR) to earn back their valid license status through a supervised payment plan, a mandatory financial management and life skills course, and the issuance of a temporary diversion license. Failure to abide by the program’s conditions, including monthly payment plan payments, valid insurance (SR-22), and good driving conduct, will result in an immediate loss of the DDP license and the person will revert back to their original suspension or revocation status and potential prosecution on the original charge(s). The offender has a Class D driver’s license. Ultimately, however, the prosecutor retains the discretion of whether an offender is admitted to the program. Officers who issue citations to drivers for DAS or DAR also provide the drivers with an orange colored DDP card. The DDP card provides information about the program and includes the toll-free number of FCS. What is the driver’s responsibility? If the driver is interested in the DDP, the driver is responsible for contacting FCS within 72 hours of receipt of the citation and FCS determines initial eligibility If the driver chooses NOT to contact FCS about the DDP, the citation proceeds through the criminal justice system. What happens if the driver fails to complete the DDP? If a participant fails to comply with the program requirements, FCS notifies the prosecuting attorney of the participant’s termination from the program. The prosecutor then has the discretion to “re-charge” the initial offense(s) by formal complaint. Conclusion: The DDP is an innovative solution to an age old problem: the chronic traffic offender who drives without a valid license. The DDP addresses the chronic traffic offender’s major issue – their financial inability to pay one large, lump sum to reinstate their driving privileges. We understand that this program cannot and should not be able to help all unlicensed drivers. However, the DDP can work for those people who want it. The pilot cities, along with the commissioner of public safety, will report the results of the program to the legislature by February 1, 2011. We look forward to sharing those results with you at that time. Older Can I get a CDL with a DUI on my record? I have tickets for driving without license I’m trying to get my license straightened out I’ve never had license in minnesota i live in saint peter mn. Having a hard time getting to work without a license can you please help me my email is Stewartjermaine45@gmail.com my #is 507 779 1031…thank you. Hi Jermanie! One of licensed agents will be contacting you soon in regards of your situation. Thank you for choosing Select Insurance Group! Yes Amber, we can help. I will have one of our agents reach out to you.